You are at:Home»LSAT»How Many People Take the LSAT Each Year? 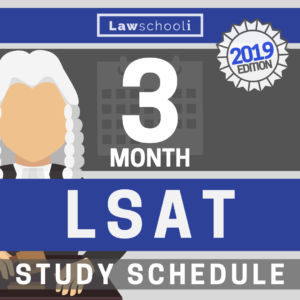 However, a lot of people retake the LSAT twice or even three times, so substantially fewer individuals actually take LSATs in a given year. 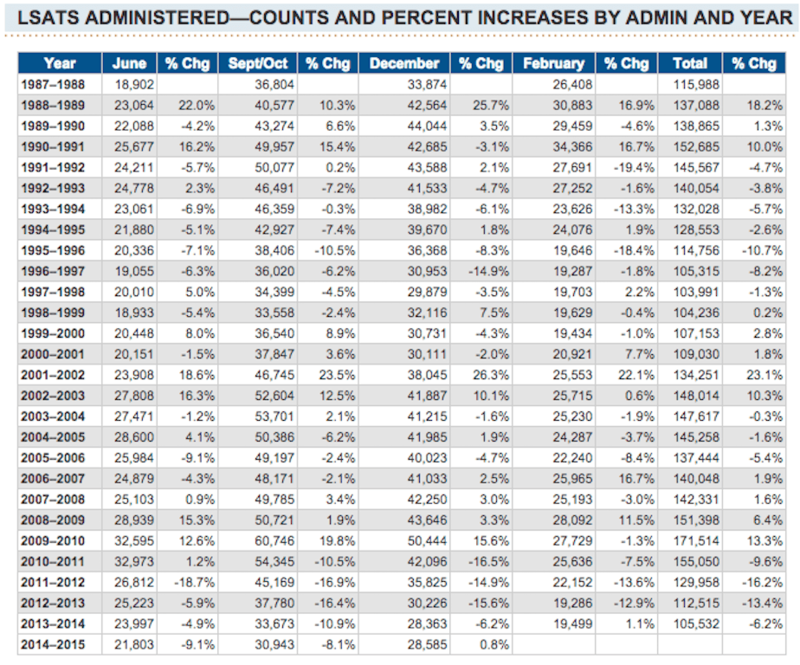 I added up the number of retakes attempts from this data sheet on all the retakes in LSAT in 2012-2013, and approximately 30,000 of the attempts in that year were retakes. Subtracting all 30k from the total would result in an undercount, since some of these were retaking from attempts in previous years (and thus only took it once in 2012-2013). We can guess, however, that somewhat more than 85,000 and somewhere less than 100,000 people took the LSAT in the 2012-2013 cycle. That’s a lot of people dedicated enough to the idea of law school to at least spend a saturday in a classroom taking a three-hour long test. It’s also means that you are potentially competing with nearly 100,000 other students to get into law school. You’ll notice that all of these numbers are dropping pretty fast lately. Job prospects for law graduates took a big hit in the recession last decade, and have yet to fully recover. That has translated into fewer people seeking entry into the legal profession. 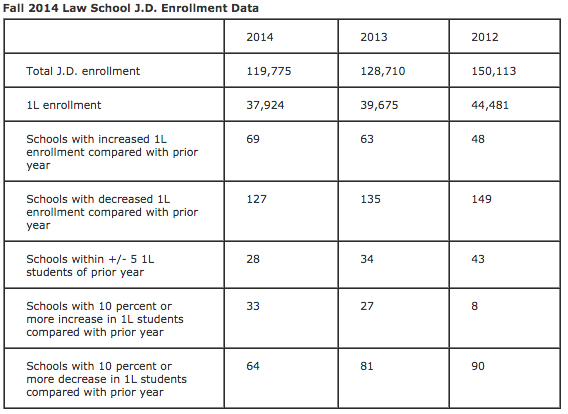 Especially when you consider that there are more potential law students than ever these days (more people are graduating from college), it appears that interest in going to law school is at an all time low. It makes sense then that fewer people would be taking the LSAT than ever. Despite the general drop, however, there is evidence that talented candidates are again starting to take the LSAT in greater numbers (see this post: Are High LSAT Scorers Returning To Law School?). For high LSAT scorers who are able to enter solid law schools and land at the top of the profession, law school is still a very sound choice. As a result, what I would like to see is more people taking the LSAT than ever, yet fewer enrolling unless they can score high and get into a top tier school. Instead, what happens too often is people decide they are going to law school no matter what and enroll even when the numbers don’t make sense. 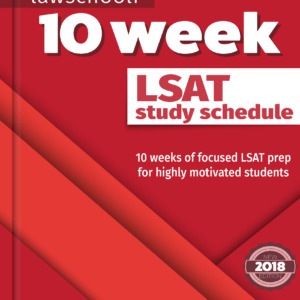 Want To Crush The Other 100,000 people taking the LSAT? Looking for a coach and teammates who can help you with the LSAT and the admissions process? Josh and I have started a mastermind-style group for those serious about getting in to the best school they can. 1. You are part of an exclusive community. Our LSAT mastermind is a small community of 200 or so other students, all totally committed to doing well on the LSAT. They’ll be relying on you to help master the test, and you’ll be relying on them. The knowledge of the whole group becomes yours. 2. Support. Once you are involved in a mastermind, that feeling of “being alone” while studying is gone. The other members of the group become your comrades for the whole process (membership is for life). 3. Collaboration. You can do problems with your peers as well as work through them with Josh and I in live meetings and preptest reviews. We also see group members doing far more to prep for the exam than they ever would have done working in isolation. 4. Start networking before you get into law school! Joining our mastermind gives you an expanded circle that you will be in touch with throughout your legal career. Beyond that, we provide the group with discounts on everything from personal admissions consulting to car rental. 5. Faster learning. You can get quick answers from Evan and I for any question you have about the LSAT or admissions. The rest of the group is a wealth of information as well! If you are facing an issue, it’s almost certain someone else has faced it too and overcome it. They’ll help you do the same. Extra reason: it’s a WAY friendlier place to hang out and learn than TLS. There is no trolling, no holier-than-thou BS, and no annoying righteous mods. 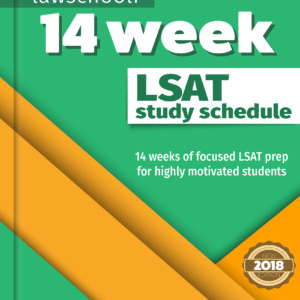 Come in and enjoy hundreds of premium mastermind members-only lessons, question explanations, and constant access to Evan and Josh as your LSAT and admissions coaches! We are looking forward to working with a handful of new members for the June LSAT, so join up before spots are full. Become A Member Of The LSAT Mastermind Group Here! Next Article How Do Law School Grades Work? I am super confused about when I should expect to get my test results back from the February 7th LSAT. It says up to 3 weeks but everywhere I read shows a later date than 3 weeks. I am trying to meet the February 28th and March 1st deadline for some schools, will this be possible, will I get my score in time? Jordanne, we are predicting a score release on the 27th, so I think you’ll be fine. Besides, I doubt any schools are refusing applications right now. If you get an LSAT score that’s in an acceptable range for them, they’ll look at your application, trust me. Applications are so far down this year they can’t afford not to.